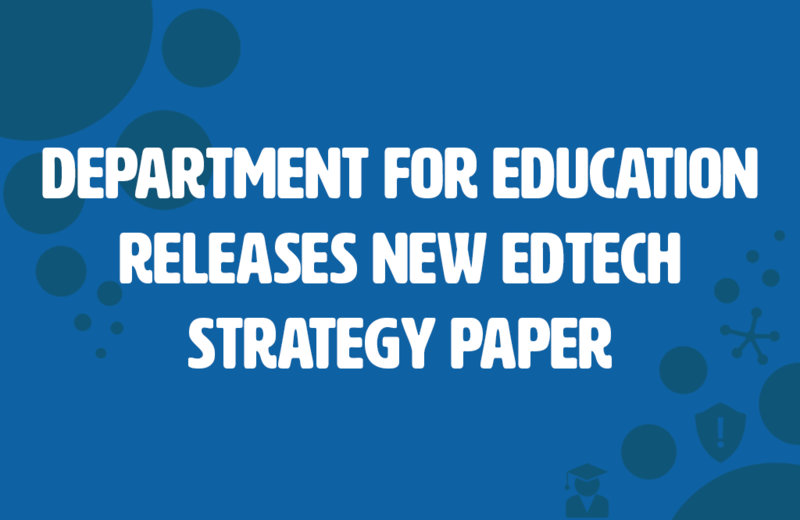 The Department for Education has just released a new document called “Realising the potential of technology in education” that provides a strategy for education providers and the technology industry to make the most of edtech. This is a much needed and welcome publication that highlights the challenges of implementing edtech and offers some solutions and guidance. Barriers identified in the use of edtech include: the skills and confidence to use technology effectively; the need for digital procurement capabilities to make the right choices in selecting and buying technology products; and concerns about privacy, safety and data security – to name but a few. To help increase the skills and confidence to use edtech, the DfE, in partnership with the Chartered College of Teaching, has launched online training courses for teachers and leaders in education. BESA’s LendED service – an online lending library for EdTech software where educators can try products before they buy – was also highlighted as a great way to help schools make better purchasing decisions. NetSupport is already part of this scheme and offers a 30-day free trial to allow schools to implement and use our products to check they meet their needs. Meanwhile BESA’s LearnED programme was deemed as a great way for teachers and industry to showcase products and best practice through eight accredited continuing professional development roadshow events across England. They are free to teachers and education leaders and provide the opportunity to see a range of technology, such as NetSupport’s solutions, in action in the classroom. NetSupport has a long history of working closely with local schools and listening to customers’ feedback. This approach ensures that NetSupprt keeps ahead of the challenges and concerns in the edtech sector and that its solutions are developed to meet today’s and tomorrow’s requirements. NetSupport’s Network and IT Management solution, NetSupport DNA, was developed with these issues in mind. Not only is it easy to use (helping teachers gain confidence in using its features), but with £470 million being spent on software and hardware for learning every year (according to the report), NetSupport DNA’s hardware/software inventory and licensing toolkits also help schools by gathering a wealth of device and usage data to inform decision making and allow accurate planning of future IT spending and refresh plans. Meanwhile, its built-in GDPR and safeguarding toolkit helps schools to meet their requirements and stay compliant.